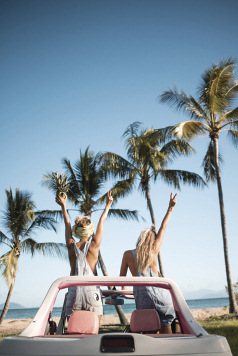 This 1500 kilometre-long swathe of coastline from the Sunshine Coast to the Far North covers a diverse and fascinating area of Queensland, and is classic road-trip country - grab some wheels and head to the open roads of the Queensland Coast! From south to north you’ll pass through Hervey Bay & the Fraser Coast followed by the Capricorn Coast & the Southern Barrier Reef, as the miles slip by. Next stop is the incredible Whitsunday Coast, home to spectacular beaches and incredible islands, and well worth a few days to explore. Then head in to Townsville & the Mission Beach coastline before arriving in to the heart of FNQ at Cairns. This journey with your own wheels is rewarding and fascinating, and the pace is up to you. This classic Queensland fly-drive itinerary takes you from Brisbane to Cairns (or reverse) via 1,700 km of stunning scenery, amazing experiences and the Australian laid-back lifestyle. Start your Queensland adventure in Brisbane before flying to the Whitsunday Coast where you’ll collect your vehicle and head north - the beaches and islands of Queensland & the Great Barrier Reef are yours to discover. A full-length itinerary taking in most of Australia’s East Coast, all the way from Sydney via Brisbane to Cairns - allow plenty of time and enjoy an epic trip that’s full of stunning scenery and incredible experiences. The motel offers simple, value accommodation and is a great starting point for Fraser Island, situated in tropical gardens directly across from Shelly Beach. 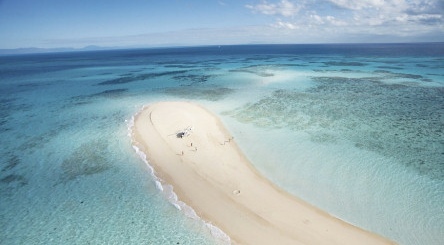 Urangan is a great choice for travellers interested in whale watching, fishing and relaxation. The Mantra Hervey Bay is well located, a short ferry ride from World Heritage listed Fraser Island. Situated in the sub-tropical heart of Agnes Waters/1770. Sandcastles 1770 Motel and Resorts is the perfect holiday destination for a romantic getaway, school holiday or family vacation or a stop on your East coast travels. The Best Western Cattle City Motor Inn is located on the south side of Rockhampton, about five minutes from the city centre and within easy reach of shopping, dining and entertainment. A great location for exploring. Situated in the heart of the beautiful Whitsundays, the Mango House Resort is a tropical haven for diving, whale-watching and water sports enthusiasts. The Toscana Village Resort is good value a few minutes walk from the village, offering family orientated accommodation in a pretty setting. Conway State Forest is a 15-minute drive from Toscana Village Resort. Located in Townsville's CBD, Clarion Hotel Townsville offers elegant, premium and luxurious rooms a short walk from the beaches and the Strand. Ideally located to explore the Great Barrier Reef and World Heritage Wet Tropics Rainforest, Castaways Resort & Spa is a luxurious beachfront escape on Mission Beach. Start with a few days in Sydney before flying on to Ayers Rock. Then fly on to Cairns before picking up your car and driving the Queensland Coast all the way to Brisbane. An epic Aussie holiday - one of our favourites! Explore the best of Australia’s East Coast - start with a few days in Sydney before moving on to Brisbane. Then fly to the Whitsunday Coast and make your way with your own wheels to Cairns. A city & fly-drive combo without epic distances.